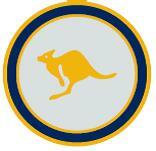 The Grey Kangaroo Award is for Good Service for the State, National or International. The descriptor and delegations guideline is in the table below. Recipients of this Award have shown themselves to provide sustained Good Service that makes major demands on their time and resources. They provide support for others at the strategic level in a specific area. They serve their Guiding community in a way that extends their skills. By extending their skills they consolidate their ongoing service to GGA. Organisationally they provide strategic leadership within their appointed area of responsibility. Those recognised with the Grey Kangaroo Award are a role model to Guides, volunteers and the local community, consistently living the Promise and Law and abiding by the Code of Conduct. Who can make the nomination for an Adult Member to receive this award? Any Adult Member of a SGGO or an individual member of GGA.